This was one of about 10 shoots simultaneously happening ~ some are still life (shoes! jewelry! bedding!) others were women’s ~ even steaks were being prepped… Each shoot has their own styling/makeup set up, and most of their stylists are full time (not so easy to have someone just drop in and know what’s available in the prop rooms and closets in a moment’s notice! 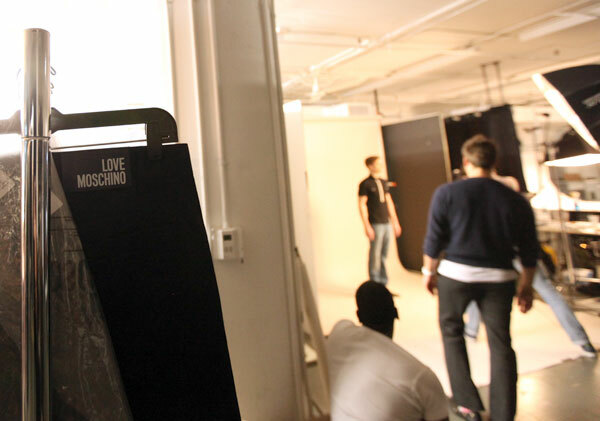 It is like flash styling on set.) The Photographers and Models are all freelance though, and none can work more than 2 days a week ~ the idea being that 2 days you get the perfect amount of work out of them (without burning out or getting restless), keep the site look and feel fresh, and the inspiration they come back with having other gigs (around the world as well as the city!) 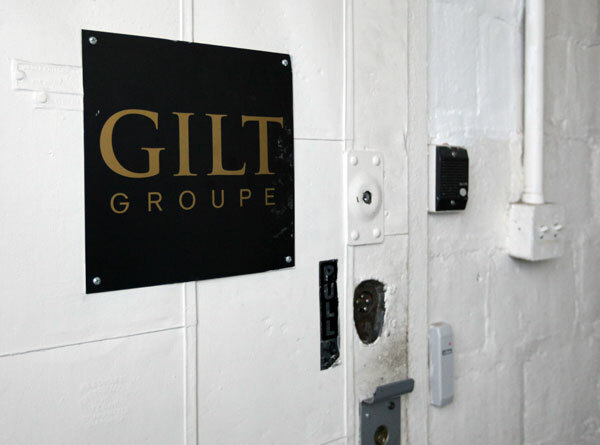 help take things to the next level in the Gilt world! 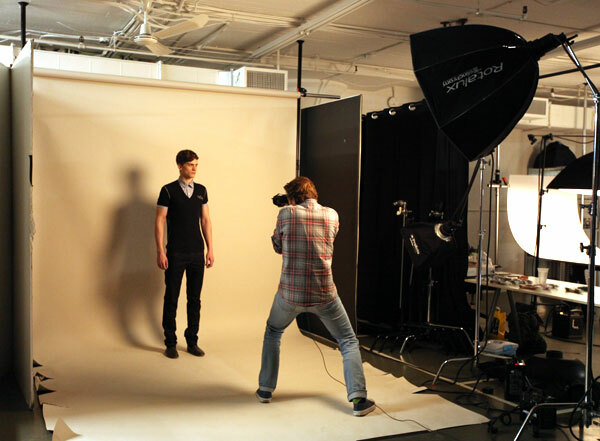 These shoots go FAST, like lightning fast… like when you look away the model is in a new outfit already! All equipment is Gilt owned ~ every photographer comes in and shoots tethered 5D MKII ~ the consistency is key with so much change. And see the racks below? 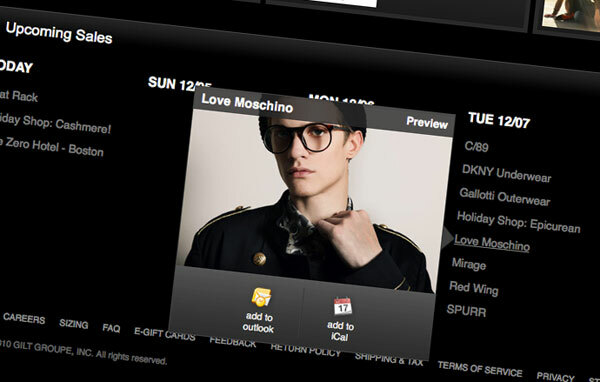 Everything is for this one Love Moschino shoot, and they will go through all of that in a few MINUTES per outfit. … they are shooting away! … quick styling in between shots! 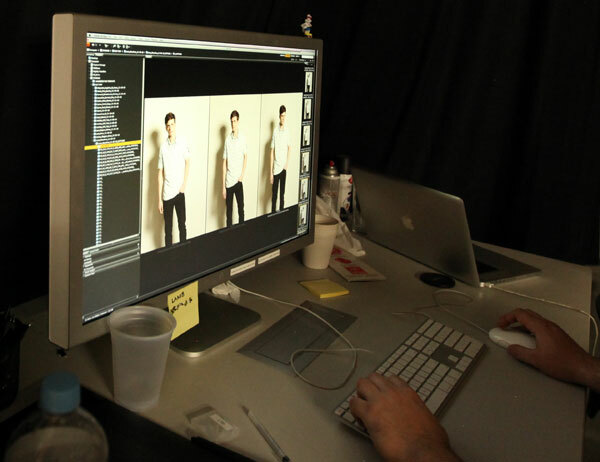 Images from the shoot are uploaded to the main server, and by that night, they are ready for the retouchers! 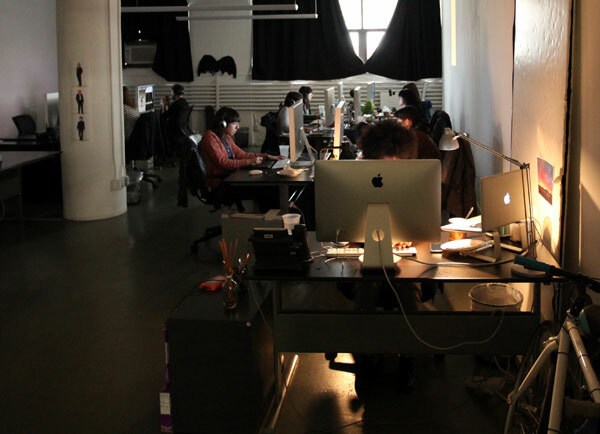 … and off to the site they go! To taunt and tease us all until the site launches! 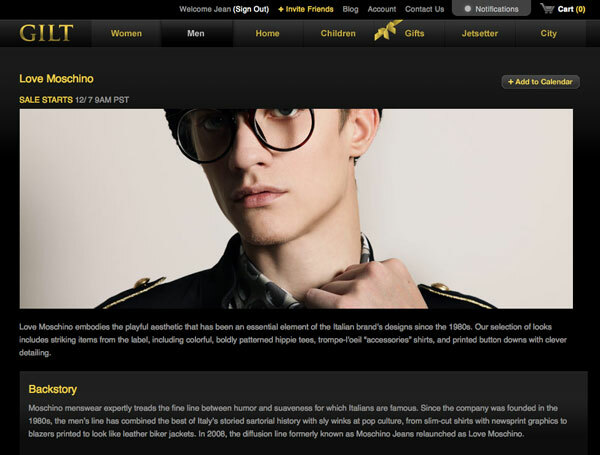 And TOMORROW, we can finally see how those shots came out at the Gilt Man Love Moschino Sale! As mind blowing as this internet paced 24/7 shooting schedule (they have shoots going almost constantly - a day and night shift!) what is even more fascinating is that they seldom know which sales will run certainly until 2 weeks in advance… shoots are happening almost exactly a week before actual sales go live… there is no room for error, and yet Gilt Groupe still manages to keep an impressive visual quality through the whole site and all of the sales. Yes, they have poked and prodded at EVERY piece being sold IN PERSON! And having watched it all in action, it suddenly all makes sense why often their shots are even better than the manufacturer’s pics! 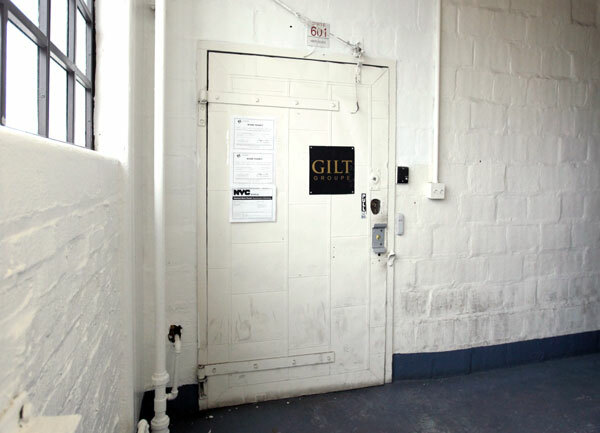 Anyhow, the adventure will continue tomorrow in a second post sharing my adventures running around the warehouse finding out where our packages come from after we order on Gilt Groupe ! Neat! Thank you for sharing this.